The first volume in Silverberg's most memorable and ambitious fantasy series, the Majipoor Cycle. The first volume in Silverberg's most memorable and ambitious fantasy series, the Majipoor Cycle. 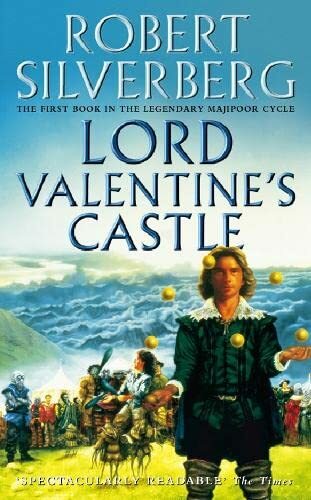 Lord Valentine's Castle is the first book in the legendary Majipoor cycle, revealing the vast and teeming fantasy world of Silverberg's bestselling series. From the heart of the labyrinth, the Pontifex rules Majipoor by telepathic command and by the terror sent by the King of Dreams. High above on Castle Mount, his adopted son the Coronal lives in state, holder of the Starburst Crown. When a conspiracy overthrows the legitimate Coronal and replaces him with an imposter, the treason is concealed by sorcery... until a dream reveals it to Valentine, a travelling juggler. Valentine cares nothing for princes. A free man and a happy one, he pities his namesake Lord Valentine the Coronal, second most luminous of the Powers of Majipoor. He hates the sorcery of imperial might and the worship of the Starburst Crown. But when the time comes for the guardians of the dream to rise up, Valentine must answer to them.